Beltane is, without a doubt, the most popular time for a Pagan wedding. But did you know that the Sabbat doesn't necessarily fall on May Day and its eve? Setting the date for your Beltane handfasting may be one of the most important moments of your life. However, many Pagan couples assume that a Beltane wedding has to occur on May Day, or the evening before. They are wrong. Check out these traditions and recalculations, which may delight those who don't want their friends to have to choose between a coven celebration and your handfasting. After all, Pagans tend to be busy on April 30th and May 1st! What Dates Would Count as a Beltane Handfasting? From sunset on April 30th, through the bright May Day of the first, are the obvious Beltane dates. But that was slightly dumbed down. The scope is further. For Wiccans in particular, in the Northern Hemisphere, Beltane is celebrated during the 24 hours between sunset on April 30th and the same on May 1st. Hence a May Day handfasting being favorite. But the range is much bigger than that in reality. In fact, it might not include those dates at all, depending upon how you measure the season. Beltane is the beginning of summer. It marks the moment when winter gives way to warmth and sunshine. The darkness lost to the bright half of the year. By arbitrarily assigning May Eve as that date, the average Pagan is relying very heavily on a calendar created by the 16th century Catholic Church. Pope Gregory isn't the obvious source for Pagan spirituality. But no biggie! The majority of Pagans would point to these dates as Beltane anyway. It makes it easier to organize stuff in advance. No-one is going to sniff at April 30th-May 1st as the time for your Beltane handfasting. However, some of you may wish to keep it as real as possible. Therefore you'll need to skip beyond the Gregorian Calendar to discern when summer begins in your handfasting year. Many of our Beltane traditions derive from those held in Ireland, Scotland and Newfoundland in Canada, which never did quite die out over the centuries. The rituals in Limerick have especially been a wealth of inspiration. 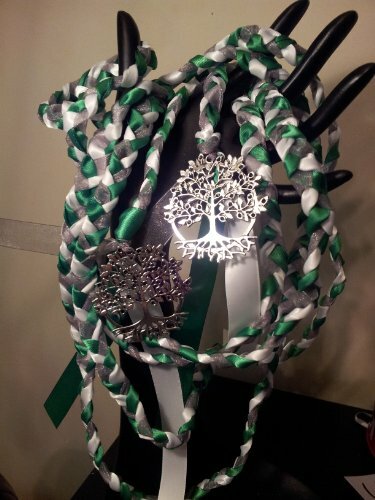 But if you're looking for a handfasting based on Irish traditions, disdain Beltane entirely. This is the Sabbat which marks the Great Wedding between the Goddess and the God. Do you really want to upstage that? Plus the Irish thinking is that Beltane weddings are meant to be temporary, Greenwood affairs. If you want your union to last, then May Day might not be the most auspicious date. I've explored some of the legends in the two articles below, which will enable to you to make up your own mind about whether the Irish are onto something here. Outside Ireland, May Day is absolutely the most auspicious date for your handfasting! It's taking on the aspect of the Goddess and the God, using the energy of nature's awakening, on the threshold of a bright new world, to imbue your union with a great start. So when is Beltane? 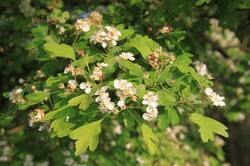 The beginning of summer is frequently associated with the blooming of the May Tree (hawthorn to the rest of humanity). The coming of the May means that it's now warm enough for the light to properly return. Winter has been fully kicked into touch. The May Blossom is the cue to look to the Heavens. Beltane is the next full moon. The Mother Goddess, in all Her fullness, shining Her spiritual light upon the awakened Earth. 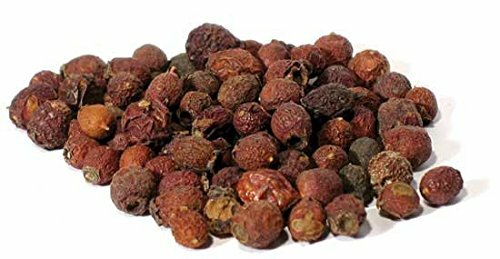 In the Northern Hemisphere, the hawthorn tends to spring into blossom towards the end of April. Therefore true Beltane would be the first full moon in May (or, occasionally, late April). The articles below explain why the full moon is so important in Wicca especially, but other Pagan religions too. The Triple Goddess is a major deity in Wicca. She is a single being, who is viewed as three divine women: Maiden, Mother and Crone. Full Moon Magic: What is an Esbat in Wicca? There are thirteen Esbats in the Wiccan Wheel of the Year. It's the night of the full moon. There are twelve Esbats in any Western calendar. They're all moon-ths or months. However, we have an element not fully available to our ancient forebears. That is science! Or, at least, the precision instruments that allow us to make proper calculations about the start of summer. Beltane falls at the exact mid-point between the Spring Equinox and the Summer Equinox. Go and grab the nearest astrophysicist. Ask them to tell you when the solar longitude is at precisely 45 degrees, during the year of your wedding. That's Beltane. That's your handfasting date and time! Alternatively, you could just visit the good folk at Archaeoastronomy.com, who have already calculated this for us. Hurrah for Pagan Scientists! Though, of course, if you do opt for a scientifically determined, precision Beltane handfasting date, you will spend most of your handfasting explaining to confused people why you didn't hold it on May Day. That might get tedious after a while. But the options are there. Enjoy Beltane, and congratulations on your handfasting, whenever you decide to hold it. Hello there! It's strange to see you outside our usual haunt. Glad to see you here too though. I'm glad that you found the article interesting. Interesting to learn about this type of wedding. If you are studying world faiths. there are the big six that you mentioned below, but there are some smaller ones, which deserve mention and which you might encounter. You have mentioned paganism, but there is also the Zoroastrian [Parsee] faith, which is small but historically influential and represented in Britain. There is Bahai. Some people regard the Bahai faith as a sect of Shia Islam, but others regard it as a faith in itself. Then there is Jainism, which some regard as part of Hinduism. There's much to learn. Nice one! I was going to do a comparative religion one for Beltane/May Day, but ran out of time. I'll let you know how it pans out. I'm hoping they'll have handouts, but that's because I like reading something I can refer back to. My logical-Spock writer's brain can then play around with comparisons and contrasts to its bear-of-little content. And, who knows, there may be an article in there too. I've read some of Frank's work but need to revisit his wizzography, because I think there are probably articles I've missed in the times I've dropped out. Thanks for the reminder. That'll be a plan for after the deadline is met; end of June. Long summer days with less pressing deadlines once that's over with. And my new phone should allow me to read on the bus instead of having to wait until I arrive home. Win-win. Oooh! That project sounds amazing! I would love to join in with something like that too. The fashion these days seems to be for scientists to keep quiet on their beliefs. They may well have a major faith but choose not to share it. I think the media may have some part in that. Patient-facing medical staff, of course, are usually not permitted to (they are not allowed to force their belief on a patient at any rate). That's what members of the hospital chaplaincy team are there for. Said team in my current place of work, a multi-cultural and multi-faith collection of people, does a wonderful job of adhering to every major strand of worldwide spirituality. They are undertaking a summer-long project to inform the rest of us about the differences in their beliefs, and I'm looking forward to learning as much about Hindusim, Sikhism, Judaism, Buddhism and Islam as I do about Pagan and the bits of Christianity I forgot or chose to ignore already.